How to Reset Windows Administrator Password with Pen Drive? Pen drive, also referred to as a jump drive, is a portable USB flash drive memory device that can be used to quickly transfer audio, video and data files from the hard disk on one computer to another. Pen drives are classified as NAND-style data storage devices. With a large amount of memory capacity, the pen drives are often used to copy data and reload files on a different hard drive . Even a pen drive with a relatively low storage capacity tends to provide plenty of space for a number of files. It is natural that being windows administrators have a tendency to forget Windows account password. Most of us have more than one computer, one at home and one at work. We use the work computer frequently and home computer relatively less. Maybe you after a month vacation or business trip , when you return, you have forgotten the passwords for your PC. How can you bypass the locked out situation and reset Windows password? To bypass a locked PC, you have to create a Windows password reset disk with Pen Drive. 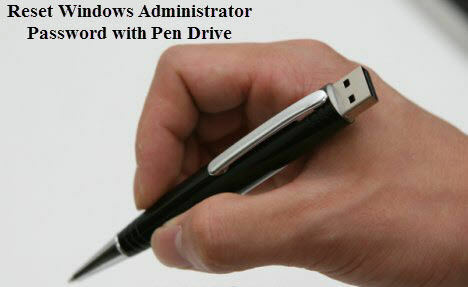 Here I will explain a very simple method to create a Windows password reset pen drive. So you can plug the USB pen dive into your locked computer and reset Windows administrator password. 2. A software called SmartKey Windows Password Reset Tool. Step 1: Download the above Reset Windows Password Tool setup file and install it. Step 2: Launch Windows Password Recovery Enterprise and create a windows password reset bootable USB pen drive to make the application Bootable. All this steps should be done on any computer you have access to. Step 3: Now go to the locked computer and insert the Bootable Windows password reset pen drive you just created. Step 4: Reboot the locked computer and follow the instructions to reset forgotten windows administrator password. 1. 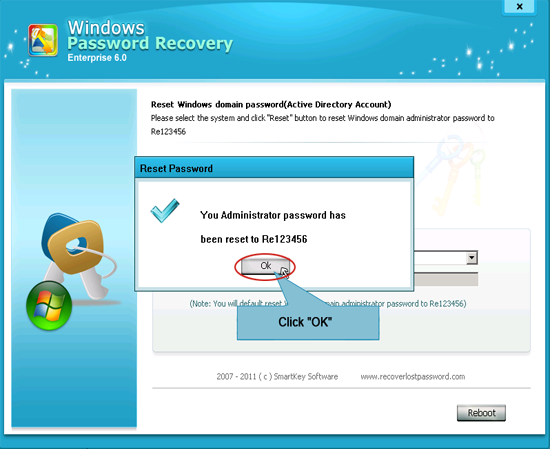 100% Windows password recovery rate for All Windows versions. 2. Resets Windows local account password with a bootable CD/DVD/USB.